Please do sign up to the newsletter (bottom of page) if you’d like monthly updates. 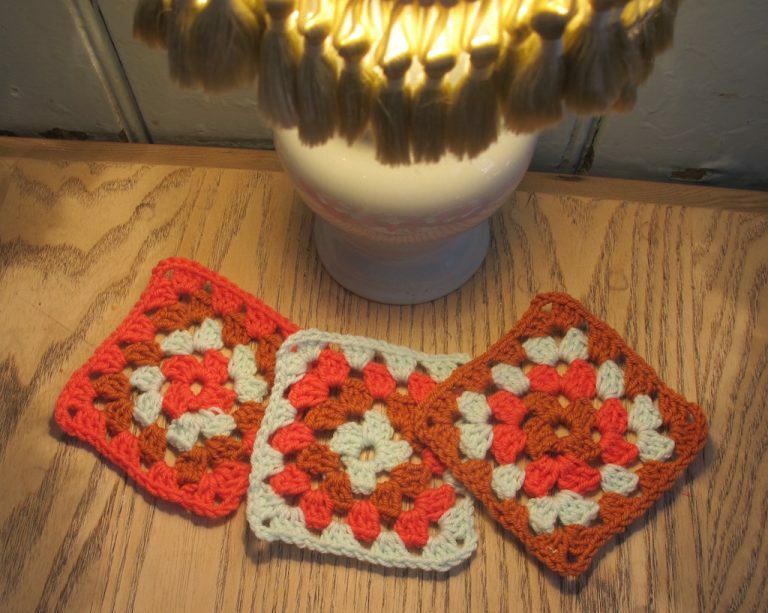 My April crocheted granny squares classes and my more advanced crocheted Esme Scarf class are listed below, however, this month, I am mainly teaching 1-2-1. So if you want to learn at a time to suit you, just get in touch and I’ll arrange a 1-2-1 instead (£13 per hour or £25 for two hours) – I teach lots of other projects, too, so click here if you’d like to choose one of those. My scheduled classes usually take place in a cafe in Crouch End. For the usual cafes, click here. For more information about the classes, click here. PLEASE NOTE I AM WILLING TO TRAVEL ELSEWHERE IN LONDON, though price may vary depending on travelling time. I offer a special “NOW WE’RE KNITTING!” package for complete beginners. 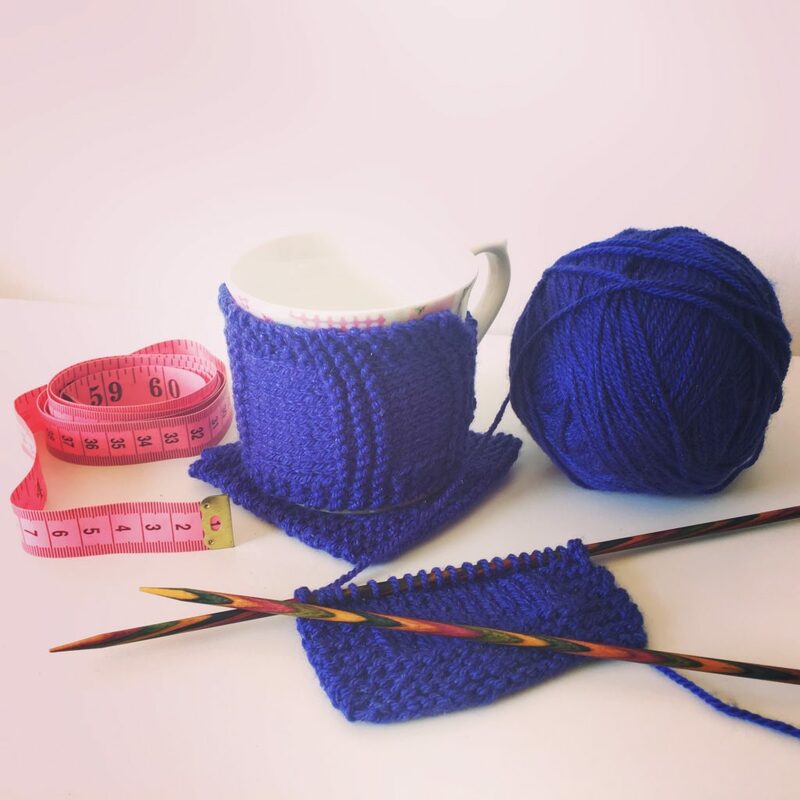 As a package I can teach you to knit in three hour-long 1-2-1 lessons each roughly a week apart, arranged to suit you. 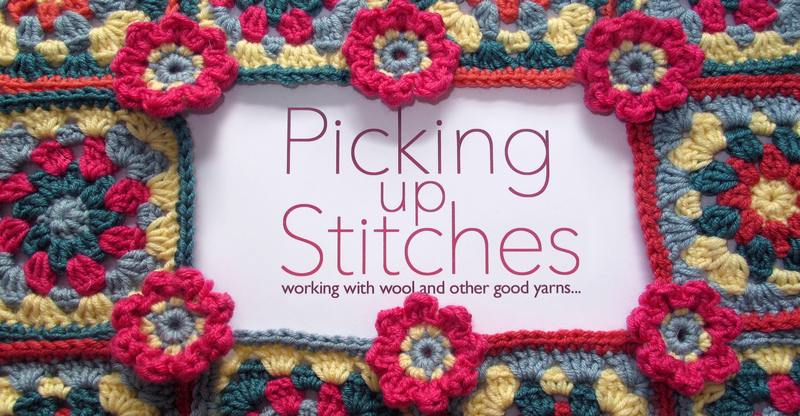 The three cost £40, payable at the first session (includes set of needles and ball of yarn). Just get in touch to arrange. I also teach regular classes at The Village Haberdashery. 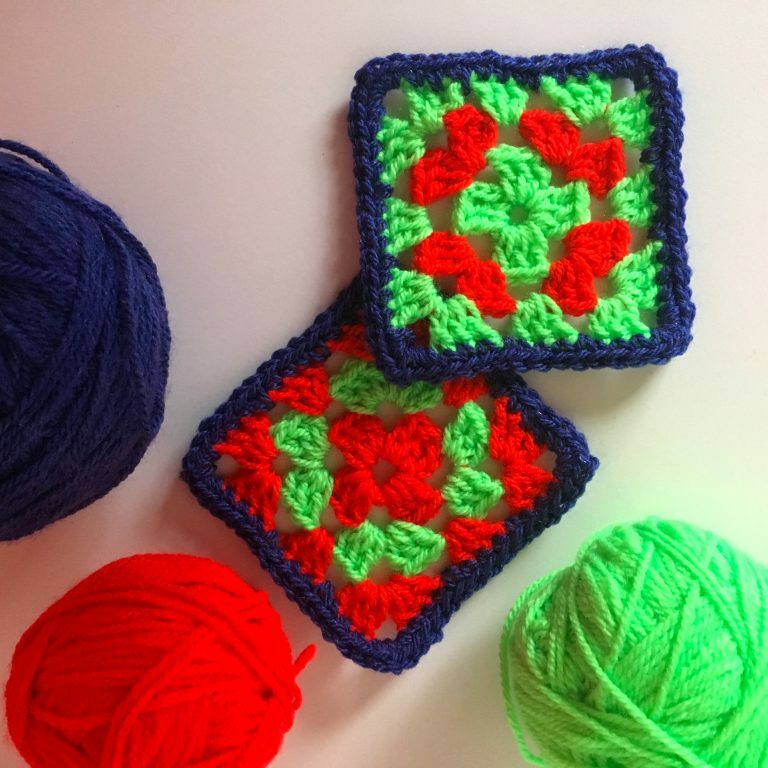 In April, there is a Granny Squares class on Tuesday 23rd April 10.30-12.30pm. See their website for prices and to book. 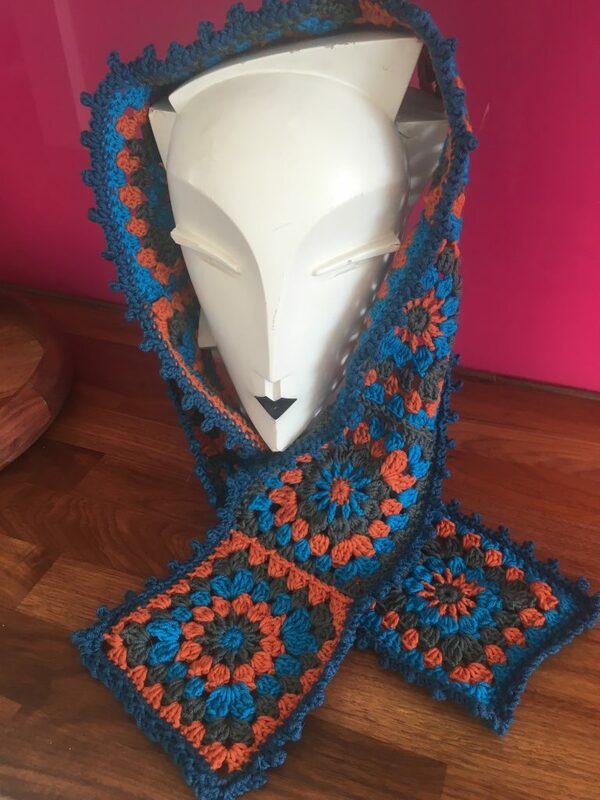 Then in May, there’ll be one of my next stage granny square scarf – Esme Sunburst Scarf on Wednesday 14th May, 6.30-8.30.